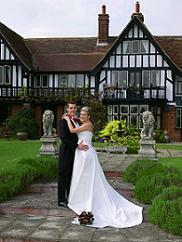 A wedding venue with a difference . . . .
Planning the perfect day ….…? Probably the most important decision is choosing a venue that fulfils every wish, ensuring the bride and groom to be are completely confident, a venue committed to going that bit further to ensure each special day is everything dreamed of and more. Welcome to Fynn Valley . . . .
From initial enquiry right through to final good byes on the wedding day, the knowledgeable and professional team at Fynn Valley are there to guide through what sometimes seems like a maze of decisions, ensuring that the day is seamless perfection. If you, or anyone you know, are looking for a wonderful new wedding venue, we are throwing open our doors to showcase our beautiful event space... all dressed to show how a wedding could look, alongside some local suppliers. Entry is free and all attendees will enjoy complimentary fizz and canapes.